The American Civil Liberties Union (ACLU) of Mississippi is suing the Madison County, Miss., Sheriff’s Department (MCSD) in a federal lawsuit for unfairly targeting black residents for unconstitutional traffic stops, searches of houses and property and sometimes violent searches and seizures, all without proper suspicion of wrongdoing. Sheriff Tucker has since responded to the lawsuit, disputing the charges, according to MS News Now. “Our deputies are professional law enforcement officials who enforce Mississippi laws. If a law is broken, appropriate action is taken regardless of the race of the one breaking said law,” Tucker said in a statement. "As always, we have fairly and diligently executed the duties for which we are required. We are going to vigorously defend the Madison County Sheriff’s Department on every aspect of ACLU’s lawsuit." White people comprise 57 percent of Madison County’s population of 105,000, the Washington Post reports. However, 73 percent of arrests made between May and September 2016 were of black people, MS News Now reports. 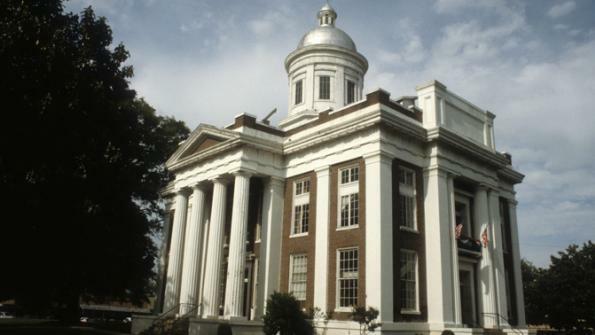 The 86-page lawsuit also claims that black people are arrested five times more than white people in Madison County, according to the Clarion-Ledger. "Some officers have stopped, searched and arrested, even entered the homes of black people who were simply going about their daily lives. Without any reasonable suspicion of criminal activity. That is against the constitution and amounts to racial profiling on a massive scale," Jennifer Riley-Collins, ACLU of Mississippi executive director, told MS News Now. In one instance cited in the lawsuit, six sheriff’s deputies forced their way into a family home after being declined entry and demanded that Khadafy and Quinetta Manning sign witness statements for a crime they hadn’t witnessed, the Post reports. When Khadafy Manning refused, the deputies handcuffed, choked, beat him, dragged him down stairs and out of the house and into a patrol car, per the lawsuit. They continued to beat him and called him Mr. Cripple — Manning uses a cane — until he wrote the witness statement.